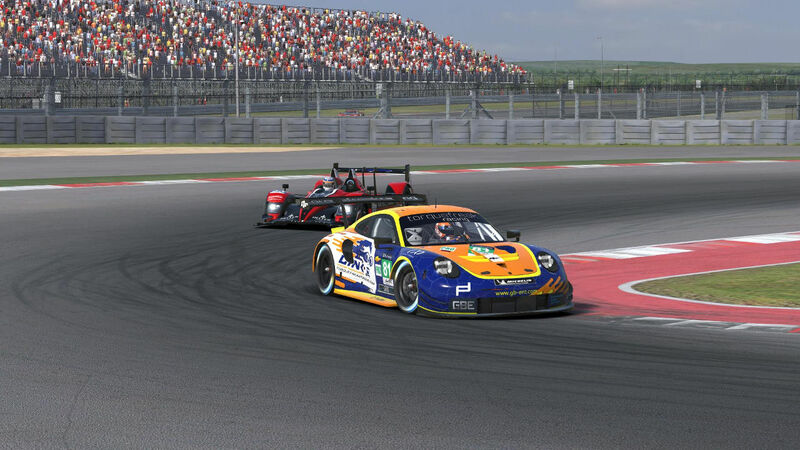 The second round of the fifth NEO Endurance Series season is coming up this Sunday at Circuit of the Americas — a modern racing facility built to challenge maneuverable Formula 1 cars that proves extra difficult for sports cars in a multiclass setting. In this preview, we asked teams to offer their insights about the tricky circuit and what to expect in a six-hour endurance race. This isn’t NEO’s first rodeo at the Texas track, but it is the series’ first trip here in two years after visiting its more northerly midwestern neighbor at Road America last season. This year, COTA re-assumes its traditional spot as the second race on the schedule. Only one team has managed to conquer COTA to claim multiple class wins. Coanda Simsport were prototype victors in seasons one and three, the latter event with current iRacing World Championship Grand Prix Series champion Martin Krönke setting the overall fastest lap of the race. The only past prototype winners in the field this season are Team Chimera, which edged Coanda in season two by just eight seconds with Jack Keithley and Ben Tusting behind the wheel. 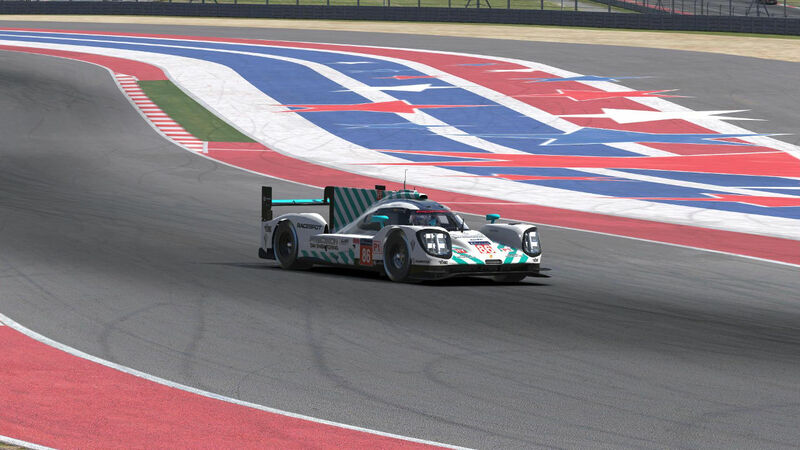 Team Chimera is searching for its second COTA victory this weekend. Several former GT winners are on this season’s entry list. In season one, Joris Thielen — now with Team Buschfink Racing — won in the Ford GT alongside Richard Hollyday for Fenix Motorsports. The following season, Thrustmaster Mivano Racing put their Aston Martin atop the GT podium. Both drivers from that event remain with Mivano today, although on different NEO entries. Tommaso Carlà will be in the Sebring-winning #3 Porsche 919 while Fabio Gonzalez remains in the GT ranks in Mivano’s #69 Ford GT. 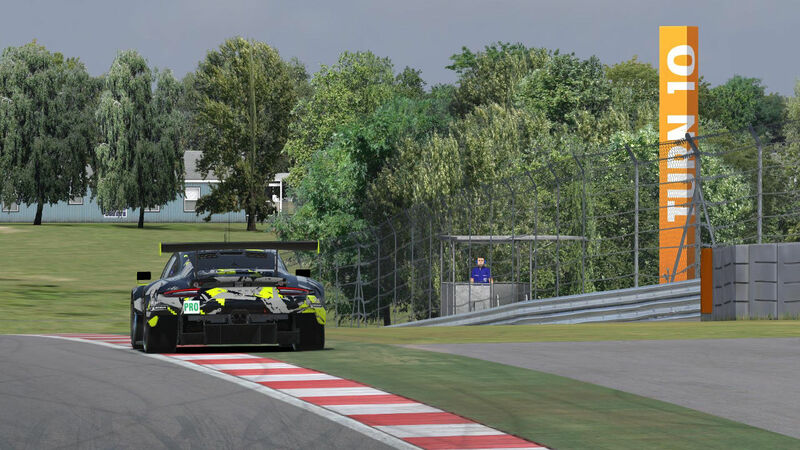 Torrent Motorsports claimed victory in their Aston Martin in season three with Marius Golombeck and Kevin Siggy in the lineup. 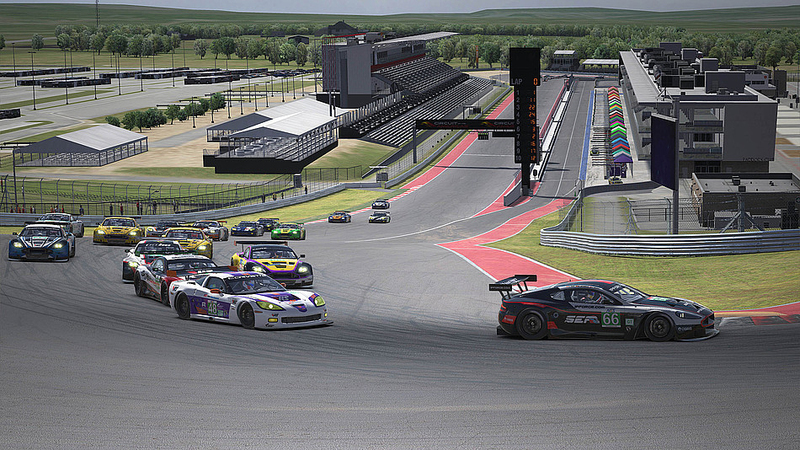 Siggy will bring that COTA experience back to Torrent this weekend in their #98 Porsche 911 RSR. Although the FIA World Endurance Championship did not visit COTA in 2018, the 2017 edition of their six-hour race saw the factory Porsche 919s top the P1 class and a pair of AF Corse Ferrari 488 GTEs up front in GT Pro. 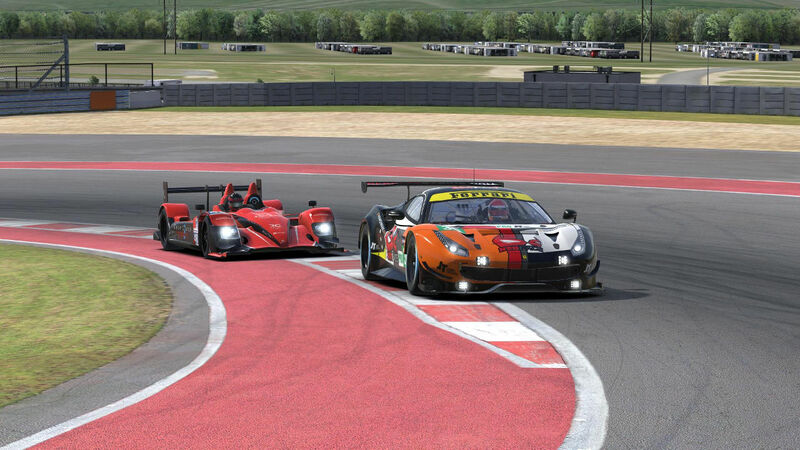 Torrent took its maiden NEO victory in season three at COTA. COTA’s unusual layout is the brainchild of promoter Tavo Hellmund, former motorcycle racing champion Kevin Schwantz, and famous — or infamous, depending on your take on his work — F1 circuit architect Hermann Tilke. The track combines elements from multiple famous circuits all around the world. 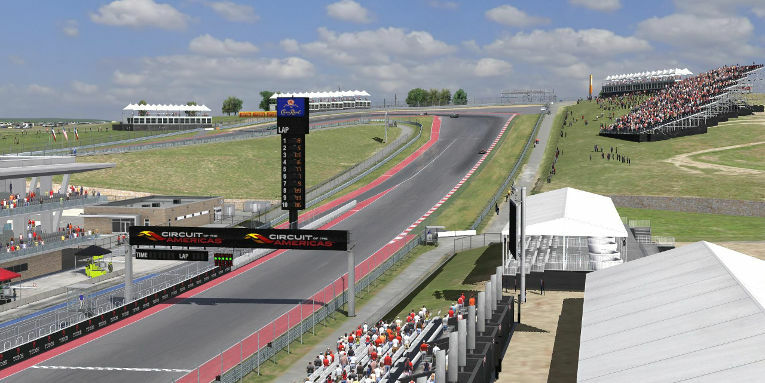 A lap at COTA begins with a 100-foot uphill rise reminiscent of the frontstretch at the old Österreichring. A much tighter first turn awaits at COTA, and it’s one of the toughest parts of the track even for top drivers. The track then drops back downhill in a right-hander similar to the Senna S at Interlagos. Up next are a series of fast esses modeled after Silverstone’s Maggots, Becketts, and Chapel complex. “The run through esses at the start is quite precise,” noted Nick Rowland from the Wyvern Racing P1 team. The second sector begins with the tight turns 7 through 10. Especially in a GT car, these corners require patience and skill to navigate without losing time. After the hairpin turn 11, the long backstretch awaits. Prototypes will hope to complete their passes on this 1.2-km straightaway, because the sector that follows can be a no-go zone for making it through lapped traffic. Multiclass traffic races down the backstretch in practice. That includes the sequence of slow-speed corners modeled after Hockenheim’s stadium section, followed by the multi-apex sweeper torn from Turkey’s Istanbul Park. Two more left-handers then await before the front straightaway, and they can also lead to big time losses for prototypes stuck in traffic. All in all, it’s 5.5 kilometers of asphalt that the top P1 cars should lap in around 1 minute, 45 seconds. P2 lap times should be about 10 seconds slower with GTs in the low 2-minute range. That will mean P1s lapping the GT field roughly every eight laps, with P2s coming through about half as often. P2s can expect their speedy P1 brethren whishing past about every 12 laps. Prototypes can expect to spend part of their race stuck in GT traffic. Our team of insiders pointed to three main factors for a successful race: a solid setup, tackling traffic, and accounting for off-tracks. In the garage, teams will search for a setup that best handles COTA’s balance of long straightaways and both fast and slow corners. It’s a similar story for prototype teams, as Soranzo noted that “a balanced setup allowing you to minimize tire wear” will prove to be a key decision. 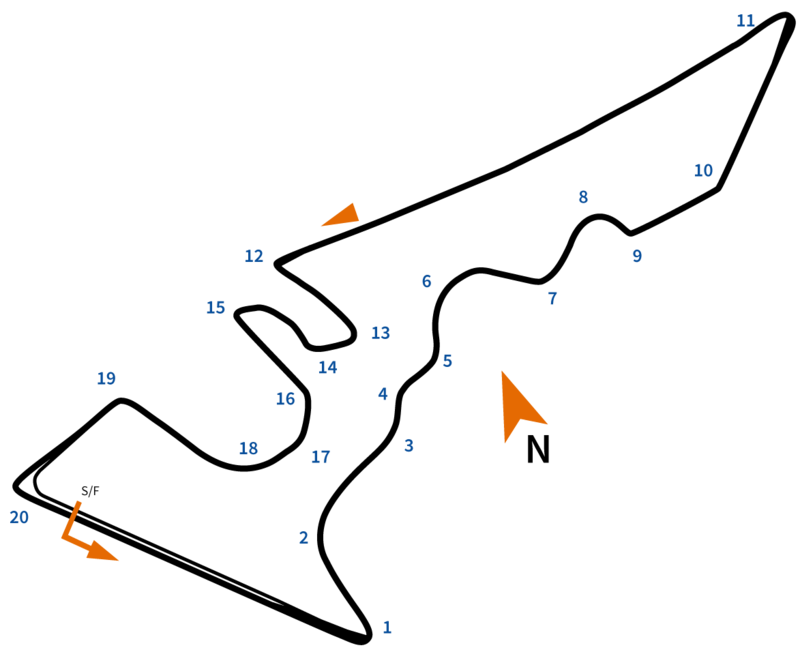 In past seasons, COTA’s slower sections have been a breeding ground for avoidable contact penalties as groups of cars bunch up under braking. Especially for prototypes, knowing where to make a move could be the difference between a podium and a penalty-filled race. Tight corners such as turn 15 could cause incidents in traffic. In tight corners like turns 6 through 8, GT cars often track out fairly wide, so prototypes will need to be careful when making moves through there. “All slow corners involve many occasions for overtaking, but it isn’t possible each time,” said Smolarczyk. Finally, with such tight turns and the combination of astroturf on corner exit and the tempting pavement inside the apexes, it’s not a matter of if but when teams will rack up off-tracks around COTA. While the off-track count before a warning and each subsequent drive-through penalty are issued has been doubled from 10 to 20 for this event, teams are still likely to test that limit. “Minimize off-tracks and plan for off-tracks,” suggested Rowland. The exit of turn 9 is an easy place to pick up off-tracks. With the switch off of Daylight Saving Time now completed across most of North America and Europe, this weekend’s session times shift one hour later in GMT to compensate. Saturday’s two free practice sessions begin at 14 and 19 GMT, respectively, with Sunday warm-up kicking off at 12 GMT. 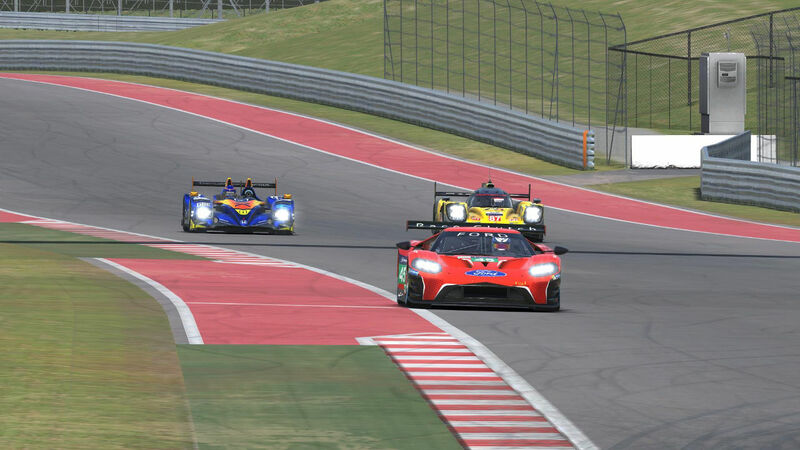 The RaceSpot broadcast on the iRacing eSports Network begins with class-by-class qualifying at 1350 GMT, and the green flag waves just after 15 GMT — 9 am in Austin, Texas — on Sunday. It’s likely to be a long race in the Longhorn State, so drivers should prepare to saddle up and try to tame the bucking bronco ride that is the Circuit of the Americas.